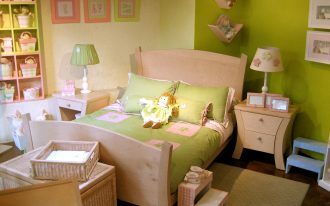 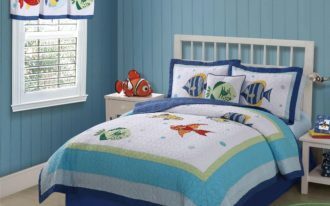 In recent years, there are many designs of bed for kids. 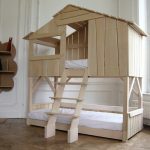 If you confused because of the design, you can try these tree house bunk beds. 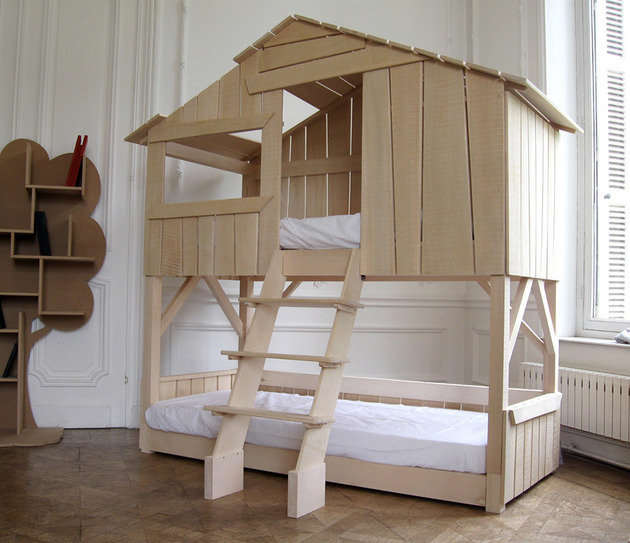 You can buy it, or you can built your own tree house bunk bed design by yourself. 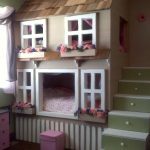 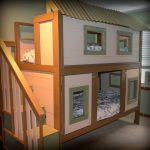 The kids will enjoy this design because it is like climbing up to a tree house using the ladder to go upstairs. The construction looks like barn board planks. 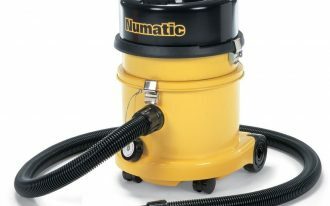 You can buy it from Cuckooland. 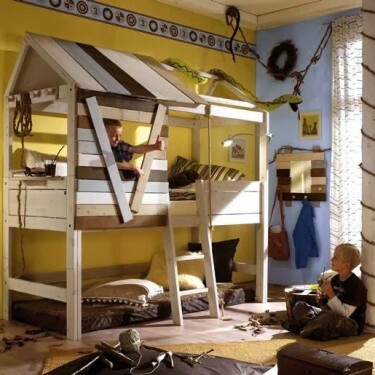 The tree house bunk bed from Cuckooland is available in 20 brilliant colors. 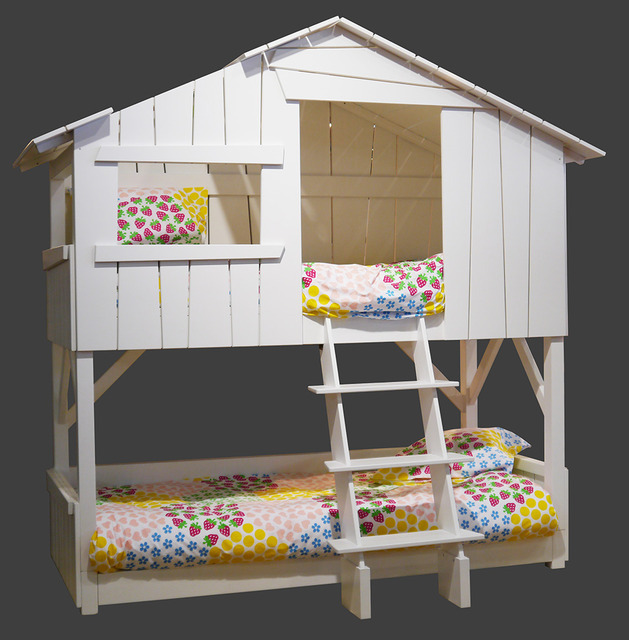 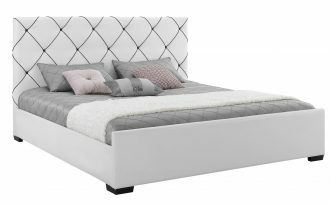 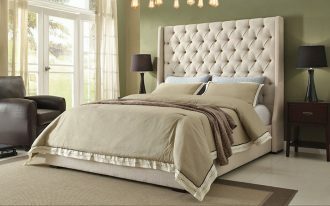 The dimensions is 220cm x 132cm x 221cm with its mattress size 90cm x 190cm. 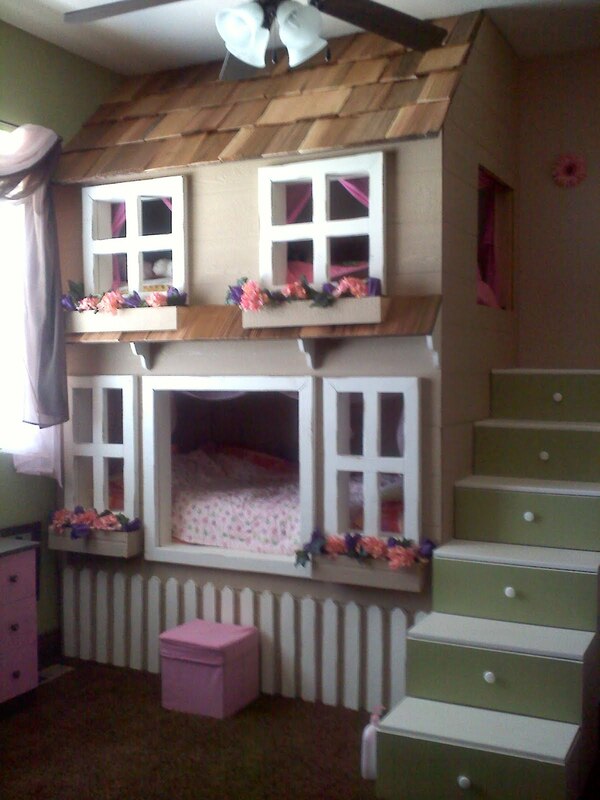 Besides, inside the tree house, you still can store the kid’s favorite books and toys. 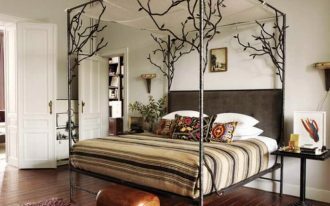 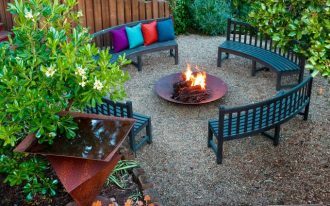 In addition, to give an authentic design, the wood panels are created in various design. 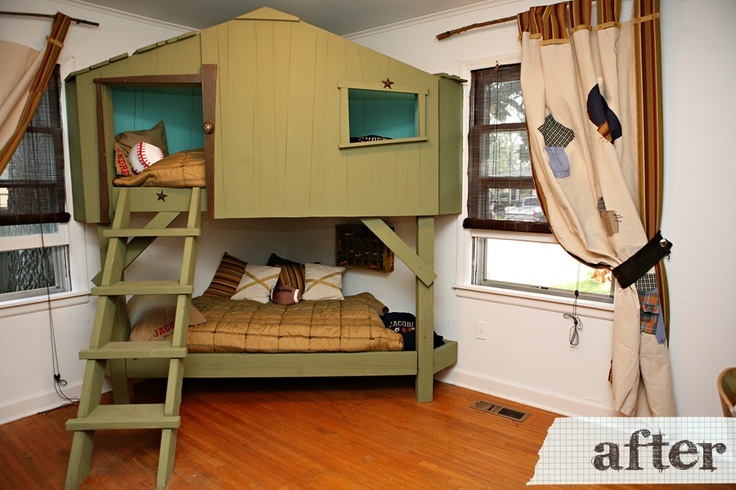 Another example of tree house bunk bed is by Kid’s Room. 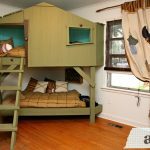 This unique bed style will make kid’s bedtime more fun. 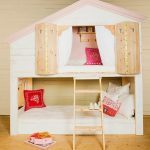 The bed includes a wooden clip-on table and 4-hook panel for bags, coats, or clothes. 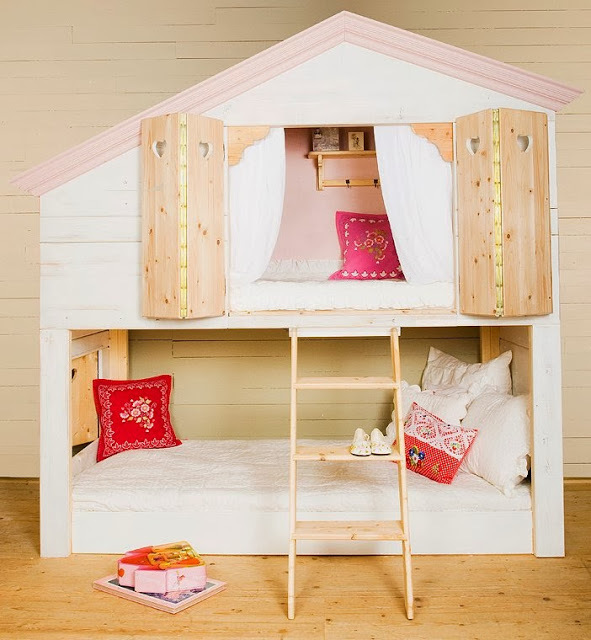 In addition, the mid-sleeper bed has a panel-effect front and roof, and a wooden slanted ladder with rope to give adventure sense for the kids. 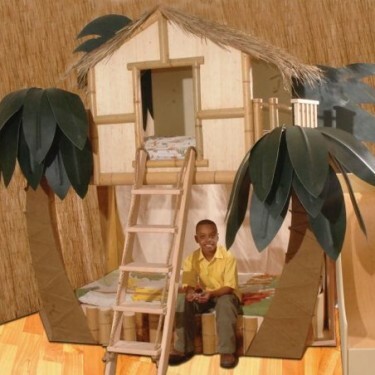 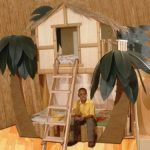 You can also modify or make your own tree house for the kids. 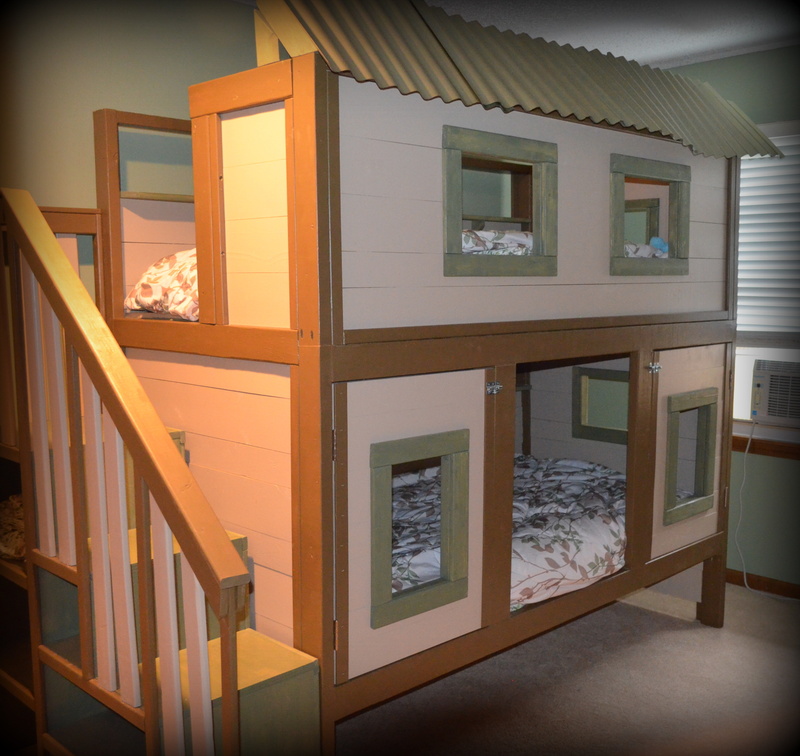 Add windows for each bunk on the non-stair side of the bed to give some air inside the tree house. 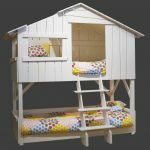 Add also a removable side panel on the upper bank with pocket hole screws to hold the boards together. 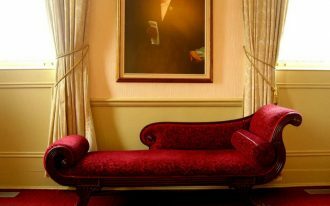 The other examples will be presented in these pictures.